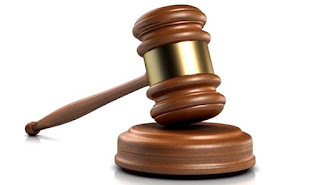 A businessman, Rashid Huthman, whom the Economic and Financial Crimes Commission (EFCC) accused of providing false information to an official of the commission, has appeared in an Ikeja Special Offences Court in Lagos. The EFCC on Wednesday charged Huthman alongside his company, Complete Leisure Estate Ltd with making false information to a public official. The EFCC counsel, Mr Nkereuwem Anana, alleged that the accused committed the offence between June 22, 2016 and Feb. 15, 2017 in Lagos. “The defendant knowingly provided false information to Mr. Dan Azibagiri, an EFCC officer in the course of duty. “Huthman falsely stated that Alhaji Oyebanji Oreagba, a former Director of Lands in Lagos State and the Director of Salgons Beverage Ventures Ltd forged the signature of Prof. Yemi Osinbajo. “The defendant claimed Oreagba forged Prof. Osinbajo’s signature who was the then Attorney-General of Lagos to deprive him (Huthman) of his land,” Anana said. The prosecutor said that the offence contravened the provision of Section 96 (a) and (b) of the Criminal Law of Lagos State 2011. Following Huthman’s plea of not guilty, his defense counsel, Mr. Lawal Pedro (SAN), prayed the court to grant his client bail on the most liberal terms. Obliging the request of the defense counsel, Justice Mojisola Dada granted Huthman bail in the sum of N250, 000 with two sureties in like sum. Justice Dada ordered that the defendant should perfect his bail in two weeks else, the bail will be revoked and he will be remanded in prison custody. The case was adjourned until Dec. 11 at noon for trial.